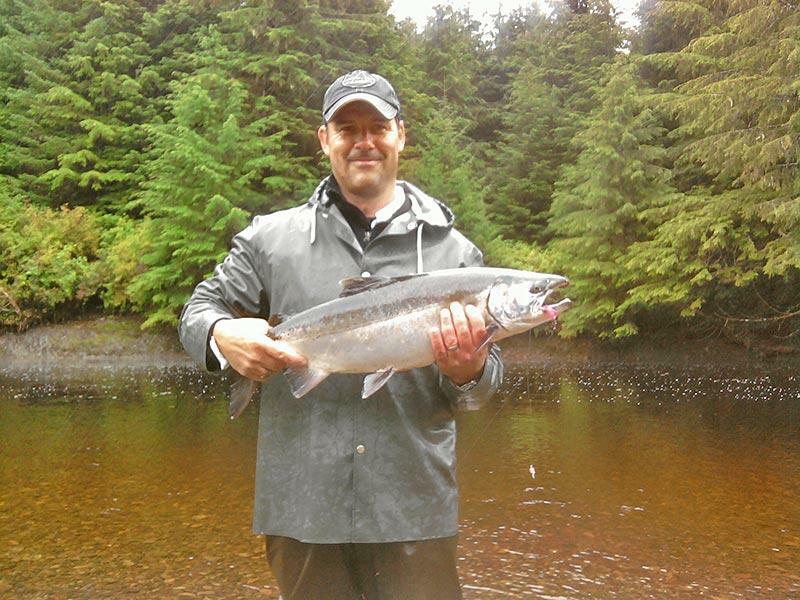 In the last couple of weeks Southeast Alaska fishing opportunities took a slight shift. 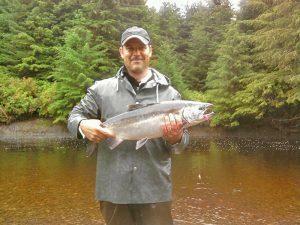 Silver salmon fishing picked up significantly on nearby rivers and streams. 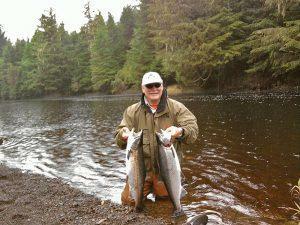 Nice catches while fly fishing for silver salmon were the norm. Jude and Hannah Buckley from Minnesota had a great day on Staney Creek recently and put six bright silvers on the bank with one pushing fourteen pounds. On the saltwater there were some great days fishing for silvers as boats pushed south and found limits on consecutive days. Boats that went north for halibut were not disappointed, and a couple of boats returned with limits of both halibut and salmon. 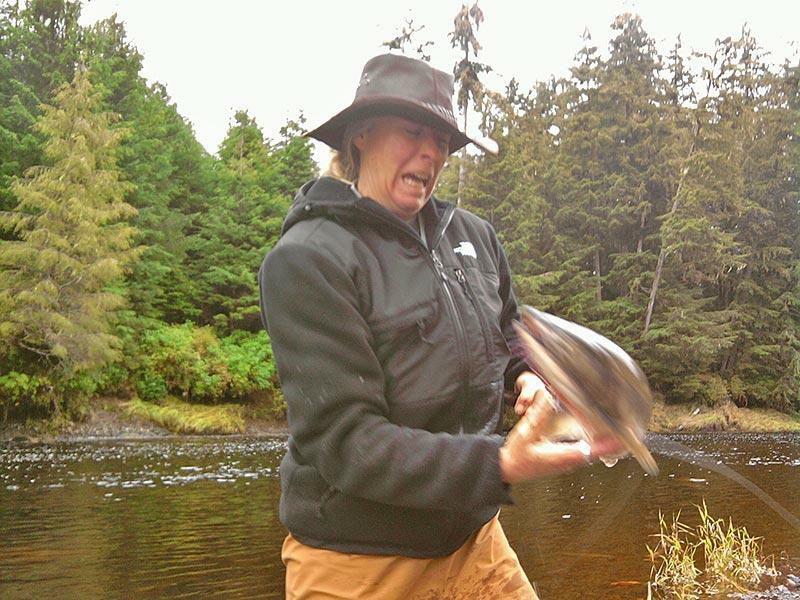 As early September rains continued to pound Southeast Alaska, the freshwater streams were blown out and turned brown and it was so extensive it even turned the bay and areas south brown as well and the bite dropped off. If you like to see black bears you would no doubt have seen some on the freshwater as they were out looking for easy prey on the streams as pink salmon carcasses were plenty. I personally saw the biggest black bear to date on the way down to Trumpeter Lake, it was probably in the 500 pound range. Well, this is probably the last blog post for awhile, as I will be fly fishing for some silvers down in Southwest Washington this fall. I can guarantee you that it won’t be anything like the fishing at Alaska’s Boardwalk Lodge. 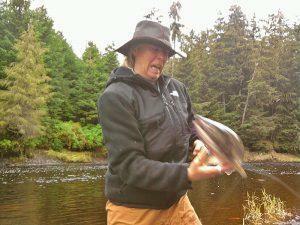 Hope you are able to get out and “wet a line” before next summer, but until then, tight lines!